The original Battleheart was one of the most groundbreaking mobile games when it released back in early 2011. Its line-drawing combat mechanic was a breath of fresh air on the touchscreen, and invited all kinds of copycats. It wasn’t just the clever control scheme though, as that first Battleheart was also filled with a ton of cool characters to play as and tons and TONS of strategic gameplay. It was like an RPG character progression toolkit, and remains a fantastic game to this day. 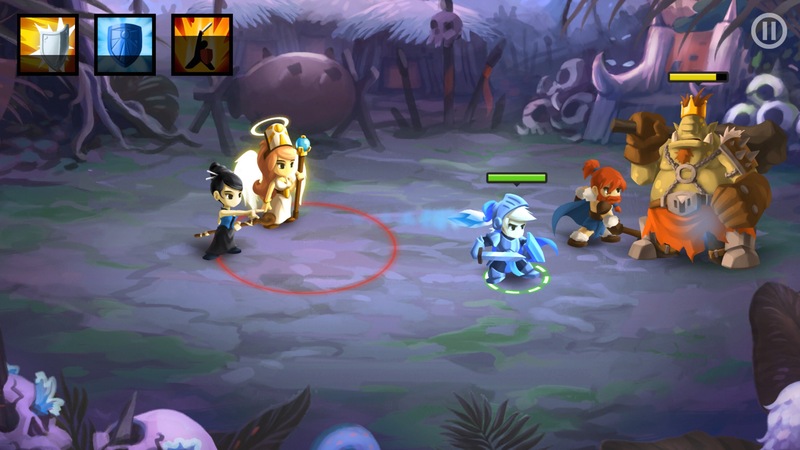 Husband and wife developer Mika Mobile expanded on the original Battleheart with a spinoff called Battleheart Legacy in 2014 that took the series into full 3D with its visuals and played around with the character progression in interesting ways, focusing now on building out a single character rather than a party. Both games really explored the depths of RPG mechanics in different and interesting ways, but ever since Legacy fans had been wondering if a proper Battleheart sequel would ever be released. Well stop wondering fans, as this week Battleheart 2 ($3.99) arrived in the App Store and it has definitely gone back to the core formula of the original game. In fact when I first started playing, I had an extreme case of deja vu, and so I redownloaded the original Battleheart and switched back and forth between the two. Indeed, it’s jarring just how similar the two games are in the early goings, but the longer you stick with Battleheart 2, the improvements over the first game begin to surface. Some of that expanded character progression from Battleheart Legacy has made its way into this sequel, and the entire game features a new art style that looks really phenomenal. Basically Mika Mobile have made the Battleheart they’d want to make with the benefit of hindsight and all the experience they gained making the first two games, and Battleheart 2 is really the ultimate version of their game. If you’re somehow sick to death of the Battleheart formula then maybe this won’t be for you (you monster! ), but for everyone else this is yet another amazing release from Mika Mobile and will keep you busy with Battleheart goodness for years to come.